Please see the information below on the passing of Doug “Buster” Ramos. Doug was a past Department Commander for 2011-2012. He will be dearly missed by many of his fellow Legionnaires. 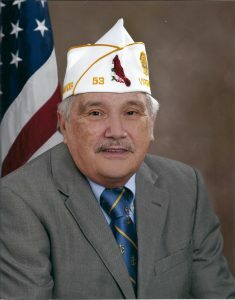 There will be a reception following the service at Giles B. Cook Post 53 Post Home at 22 West 8th Street, Front Royal VA, 22630 Phone Number to the Post is 540-635-5017.